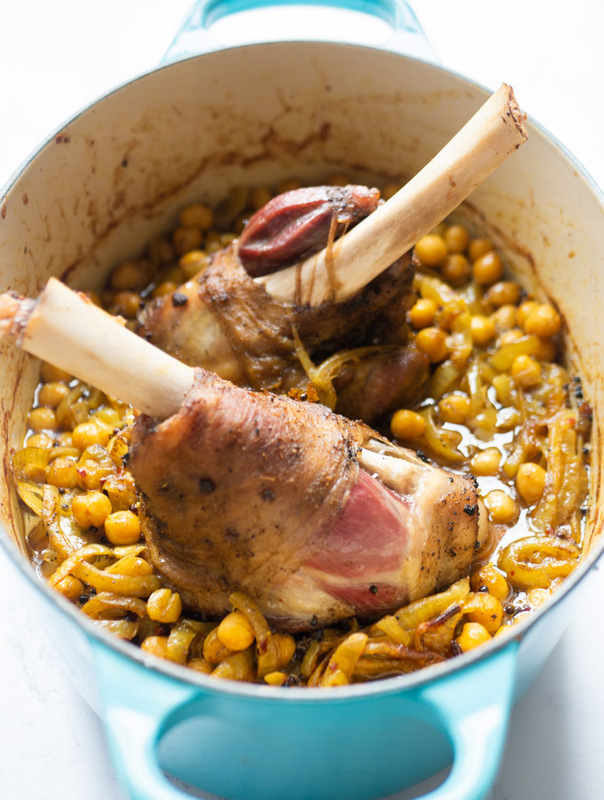 These slow-cooked lamb shanks spend a few hours in the oven – making them fall-off-the-bone tender. Paired with a simple spiced chickpea stew this dish is wonderfully comforting while still having a little kick, making it perfect for chilly nights leading into Spring! 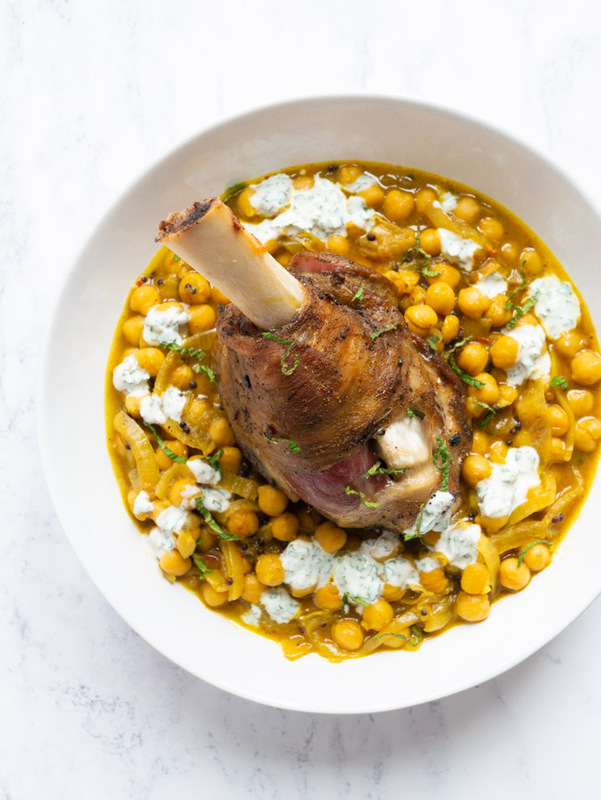 This slow-cooked lamb shank recipe would be the perfect Easter dinner meal, and something a little different to the traditional roast lamb! 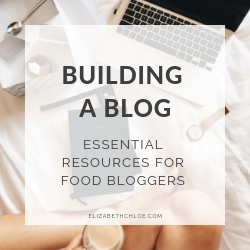 I feel like I talk about the weather a lot on my blog – but it influences so much of what I do, how I feel and, most importantly, what I cook! For instance, right now as I type the sun is beaming through my windows and the sky is blue – a rarity in Manchester! But step outside and it’s still pretty chilly, even more so in the evenings when the temperature is not too far from freezing. So while my trustly Le Creuset pot might not be used as much as it was a few months ago, it hasn’t been relegated to the back of the cupboard just yet! 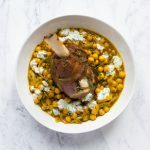 This Slow Cooked Lamb Shank recipe has truly been inspired by both the coming of Spring and those chilly evenings, where stews and casseroles feel almost medicinal alongside a hot water bottle (it hasn’t left my side just yet!). Spring Lamb is coming into season as we speak and lamb shanks are the perfect bit of meat for slow cooking. Combined with a mildly spiced chickpea stew this recipe is rich, comforting and SO flavourful. There is a mint yoghurt to accompany everything, which adds a little acidity and freshness to the whole thing. It’s good guys. Reeeaaaalllly good! While this recipe takes a while to make (nearly 4 hours) a lot of the work is done by leaving it alone, either to marinade or to cook in the oven. This means that the actual hands on time it takes to make the recipe is minimal. That means you can have a tidy up or go for a walk or (more realistically, at least if you’re me) binge watch Gilmore Girls on Netflix. Time needed: 3 hours and 50 minutes. Add the cumin, garlic, oil and salt to a bowl with the lamb shanks. Rub the marinade into the lamb and leave for at least one hour – overnight if possible. Heat a cast iron casserole pot over a medium heat with a little oil. Sear the lamb shanks (individually if you don’t have enough space in your pot) on all sides until golden. Wipe out any blackened bits from the pan. Add a little more oil to the pot and fry the mustard seeds for a minute, until they begin to pop. Add the remaining spices, and fry for 30 seconds. Add the sliced onions to the pan and fry for 2-3 minutes until the begin to soften. Add in the garlic and cook for another minute. Add in the tins of chickpeas and the water. Stir to combine. Nestle the lamb shanks in the pot in amongst the vegetables. Pop the lid on and place into a preheated oven for 2 hours. While the lamb shanks are in the oven make the mint yoghurt by combining all the ingredients together. Set aside until you are ready to serve. After the two hours remove the lid from the casserole pot and pop the lamb shanks and chickpea stew back into the oven for another half an hour. Serve in bowls with a drizzle of mint yoghurt. Lamb shanks are a cut of meat from the legs of the lamb, just below the knee. The foreshank comes from the front legs and the hindshank from the back. Lamb shanks contain a lot of connective tissue – making it quite a tough cut of meat. By cooking the shanks slowly this connective tissue melts and softens, making the meat incredibly tender. Lamb shanks should be cooked ‘low and slow’ to get the best from them. How many lamb shanks per person? A small 200-300 gram lamb shank (uncooked weight with bone) will comfortably serve one person. Larger lamb shanks (400-500 grams) can serve between 1-2 people, depending on their appetite! Allow the lamb shanks and stew to cool at room temperature for no more than 2 hours. Once cooled transfer the food to an air-tight container and store in the fridge for 3-4 days. Once cooled transfer the lamb shanks and chickpea stew to a freezer-safe container and store in the freezer for up to 4 months. To thaw, move the container from the freezer to the fridge and leave to defrost. 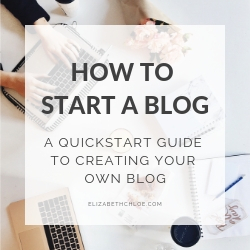 This can take up to 24 hours so plan ahead. Alternatively you can use the defrost setting on your microwave to defrost the food. 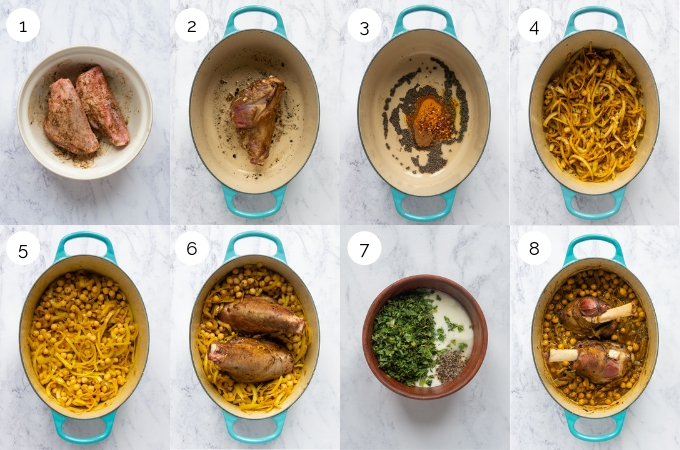 To reheat the lamb and chickpeas I would first remove the lamb meat from the bone to ensure it is reheated all the way through. Add the lamb meat and the chickpea stew back to a casserole pot with a little water. On the stove bring everything to a simmer for a 2-3 minutes. Ensure the food is piping hot before serving. Alternatively you can reheat using a microwave. I would again advise to remove the lamb meat from the bone to ensure it heats all the way through. Microwave, covered, on full power for approximately 3 minutes, stirring halfway through. Ensure the food is piping hot before serving. Cooking time will vary depending on the strength of your microwave. To accompany this dish I would serve it with simple steamed greens or a side salad, however it is a substantial meal on its own. My girls absolutely love lamb so this will be a big hit at our house. Your pictures really highlight your slow cooked lamb shanks. Great photos and I really appreciate the progress pictures, too. Thanks for sharing! 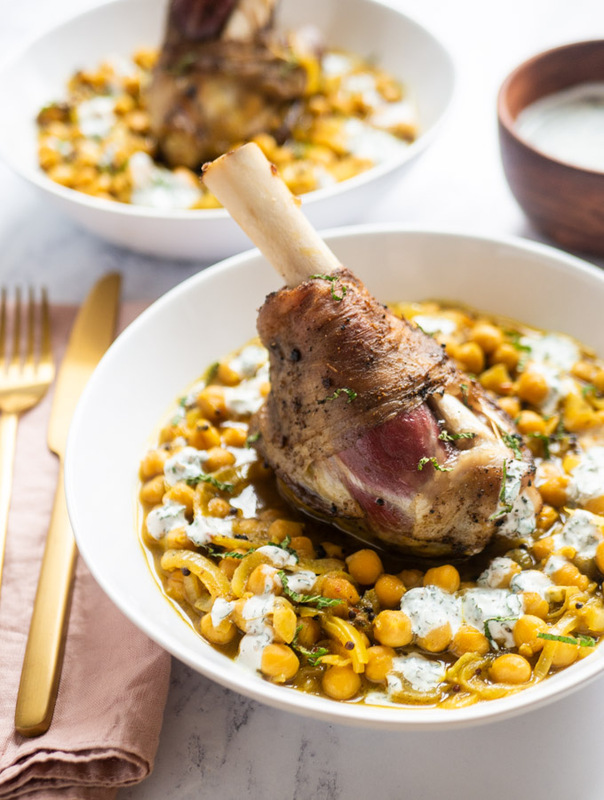 This lamb looks absolutely perfect paired with that spiced chickpea stew! I love the addition of the mint yogurt on top. Oh wow, this recipe is amazing. My husband is a huge lamb fan so we will be making it often. The chickpea stew sounds amazing, full of flavour and really wholesome. Chickpeas are great for creating this kind of dish. Thanks, Katherine! I completely agree chickpeas are so good in stews! 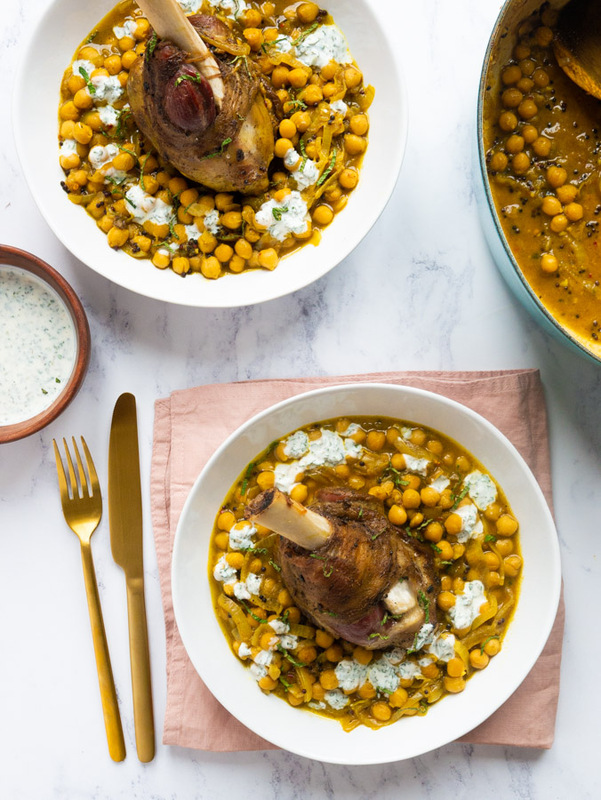 Lamb and chickpeas – two of my favorites. I love the spices you’ve added to it all. I’d be so honored if you shared this at our recipe party – What’s for Dinner!